8 Bit Education offers camps using the latest technology! Lights. Camera. Action! Cinematography enforces language, art, math, science and technological competence. Gain valuable tips, pro tricks and interpersonal skills while you make your own short film. Learn a variety of script writing, filming, acting and directing techniques. Take home a personalized DVD of your finished project. Open to ages 8-15. Camps held July 21 - 25, 10 am - 12 pm and August 18 - 21, 12:30 - 3:30 pm. Cost is $120. Always wanted to create a video game? Breathe life into your virtual characters. Share your interactive story and gain the technical confidence needed to create characters like Mario and Luigi, save a princess, battle bad guys like Bowser and advance through levels. Take home your finished Windows PC game. Introduction to programming movements and controls, creating characters and designing levels. Open to ages 8-15. Camps held July 7 - 11 from 10 am - 12 pm and July 28 - August 1 from 1 - 3 pm. Cost is $120. Always wanted to create a video game? Breathe life into your virtual characters. Share your interactive story and gain the technical confidence needed to create characters like Mario and Luigi, save a princess, battle bad guys like Bowser and advance through levels. Take home your finished Windows PC game. Prerequisite: Game Design I or instructor approval. Create complex environments, enemies and situations using Alterable Variables. Learn more about Level Design and Game Theory to add professional polish to your game. Open to ages 8-15. Camps held July 14 - 18 from 10 am - 12 pm and August 4 - 8 from 1 - 3 pm. Cost is $120. Create a video game and commercial all in just one week! Learn how to produce a video game on your Windows PC. Design levels, make characters, program movements and more. Then make a TV commercial that sells your game. Discover the filmmaking process, including writing, filming, acting and directing. Bring a flash drive. Open to ages 6-9. Camps held June 30 - July 3 from 1 - 3 pm and. Cost is $100. Hands-on technology instruction emphasizes learning, growth and fun! Enhance teamwork, creative thinking and problem solving skills. 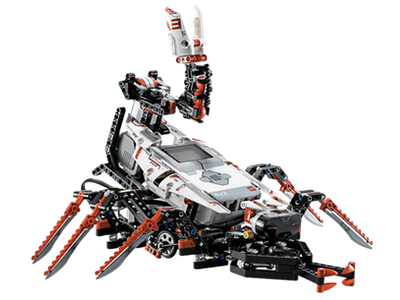 Learn how to build a Robotic Cobra or Moon Rover using the latest EV3 kits, then program and bring the robot to life. Control the Cobra via Bluetooth phone and drive the Moon Rover. Video featuring the build and the final result available at the end of camp. Open to ages 7-12. Camps held July 14 - 18 from 1 - 3 pm and July 28 - August 1 from 10 am - 12 pm. Cost is $120. Dazzle your family and teachers! Gain valuable knowledge of technology applications and exclusive skills while developing a sense of pride. Learn direct hand coding, vocabulary and steps to creating a personal website. Touch on introductory Hyper Text Mark Up Language (HTML) and styling with Cascading Style Sheets (CSS). Open to ages 8-15. Camps held July 7 - 11 from 1 - 3 pm and July 21 - July 25 from 1 - 3 pm. Cost is $120.